Hellboy is here, and it's a total disaster. The 2019 reincarnation of the Dark Horse Comics poster boy, this time starring David Harbour of Stranger Things fame, was supposed to mark a whole new start for the half-demon superhero. Instead, it sank like a stone at the box office, drawing reviews so barbed that they'd be the envy of Lucifer himself. The movie disappointed critics, audiences, and ultimately its producers, as well as all the poor souls who invested money in bringing the project to life. What mistakes were made with this new production to make it crash and burn so harshly in the midst of a years-long superhero boom? What could have been done differently to make this project soar? There are a lot of factors behind the failure of this would-be blockbuster. 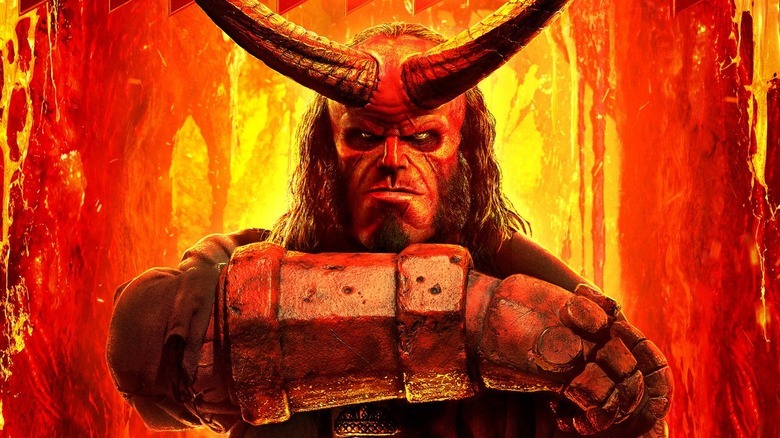 Let's break down why the movie bombed at the box office, and see if we can nail down just what exactly went so wrong with Hellboy 2019. 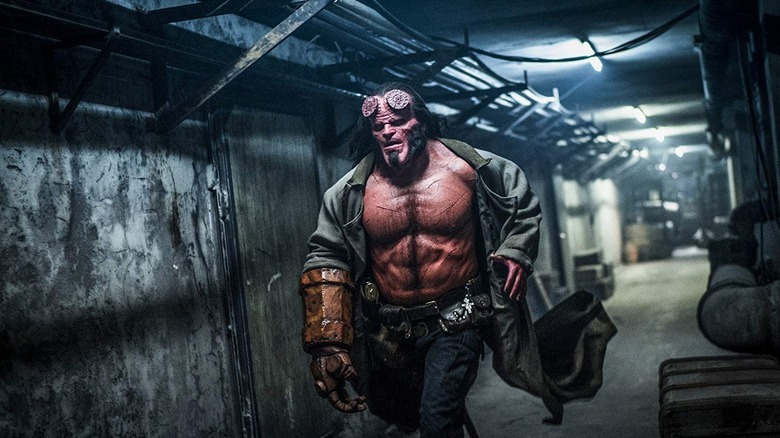 After Hellboy's first weekend out in the wild, it's hard to think of the movie as anything other than a colossal failure. Most damning for the franchise's future prospects is the fact that this version of Big Red didn't make any money at all. 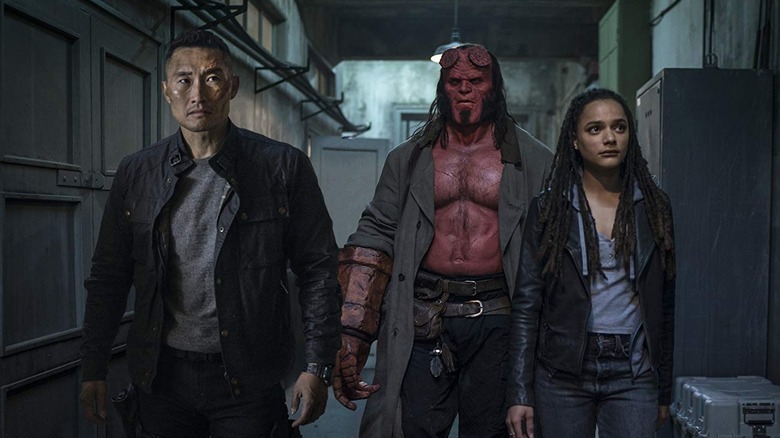 According to Box Office Mojo, the opening weekend for Hellboy brought in considerably less than the lowest of studio Lionsgate's expectations. While the studio hoped for at least a $17 million take to start things off for the movie's theatrical run, the boy instead brought back only $12 million, earning third place at the box office with a nationwide release in over 3,300 theaters. That means there were a lot of empty or near-empty theaters playing the movie during its big debut. Out of the people who did see it, enough walked away from the movie agitated enough to saddle it with an abysmal C rating at Cinemascore. All that against a budget that's been reported to be $50 million — and going by Hollywood accounting rules of thumb, that's the lowest low end of what possibly could have been spent in bringing the movie to fruition. In other words — oops! Everyone lost their money. Clearly, the world wasn't exactly on fire with anticipation for a new, rebooted Hellboy movie in 2019. But even if people weren't very excited about the movie, not many predicted it would turn out this bad. 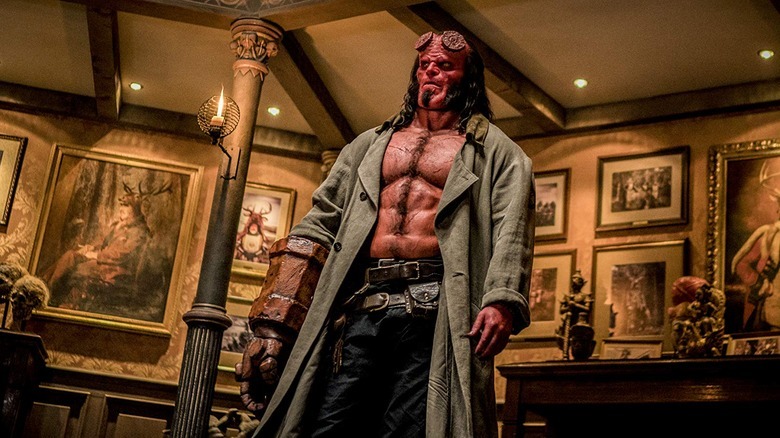 As reviews rolled in over the movie's opening weekend, Hellboy's Rotten Tomatoes score hovered near the single digits, eventually reaching a 15% rating with roughly 150 reviews. Naturally, the reactions are full of punny alley-oops. The movie is like a personal hell, or at least the tenth circle of one. It's a hell of a headache and a hellish experience. It both came from and can go to… you get it. The point is, people hated this movie. One of the more understated disses came from the Associated Press review, which called the movie "so underwhelming" as to "only [spark] polite applause after it was finally over. And that was the red carpet premiere with all the cast in attendance." One of the biggest problems the new Hellboy failed to overcome is many fans' continuing allegiance to the original two movies directed by Guillermo del Toro. Long before this new version of the franchise was being worked on, del Toro and original Hellboy Ron Perlman were ready and willing to step up for a third act. 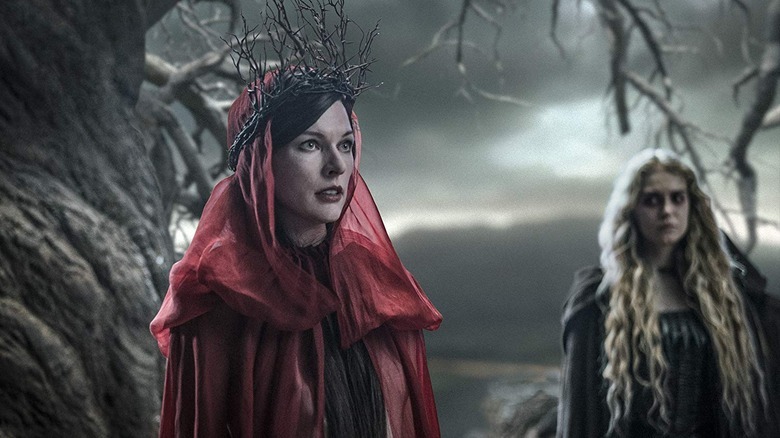 But over the course of the next decade, hopes for that reunion ever actually happening slowly faded into the realm of dark fantasy, with producers steering the property toward a reboot instead. 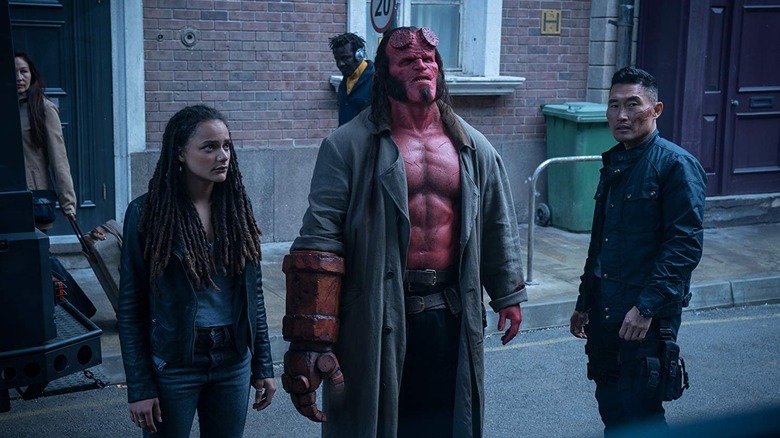 The results of this gamble on a new direction were ugly and unprofitable, with the new Hellboy grossing considerably less than the $23 million haul the first adaptation brought in back in 2004. That movie went on to gross nearly $100 million worldwide, spawning a sequel that blew it out of the water with a $34 million opening weekend and a $160 million worldwide gross. Good luck reaching those highs again after a stinker like this. The writing for Hellboy 2019 was on the wall when the first trailer for the film dropped to a less-than-enthusiastic reception. While some people saw reason to give the new movie the benefit of the doubt, others — like people who would maybe have preferred a third del Toro Hellboy — were considerably less generous in their reactions. Perhaps partly owing to the charm offensive he got to unleash during the heyday of Stranger Things hype, people generally seemed to be okay with what David Harbour was doing as the new Hellboy, even if they may not have liked the character's new look. But the rest of the trailer had a hard time getting over, with the soft reception not painting a pretty picture for the movie's already modest chances at the box office. The one bit of good press the movie got in the ramp-up to production — regarding the recasting of Asian-American character Ben Daimio with an Asian-American actor — was the result of something that was a bad move in the first place. Originally, the Special Ops were-jaguar was slated to be played by English actor Ed Skrein, drawing accusations of whitewashing to the production. Acknowledging those protests, Skrein stepped down to make way for Daniel Dae Kim instead. It ended up being good PR for the whole movie, not just Skrein — not that any of it ended up paying off at the box office. 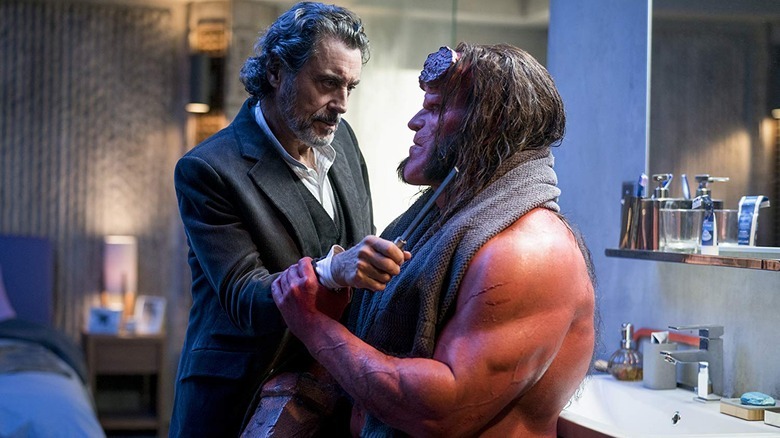 If moving on past del Toro and Perlman was Hellboy 2019's original sin, it didn't necessarily damn the entire movie. This could've been pulled off well — it just would've taken a unified vision and a great team effort. But apparently, not everyone making this movie was on the same team. It's not that everyone involved wasn't talented enough to make it work. Instead, it sounds like the people in charge were too busy being at odds with each other to focus on the quality of the film they were making. 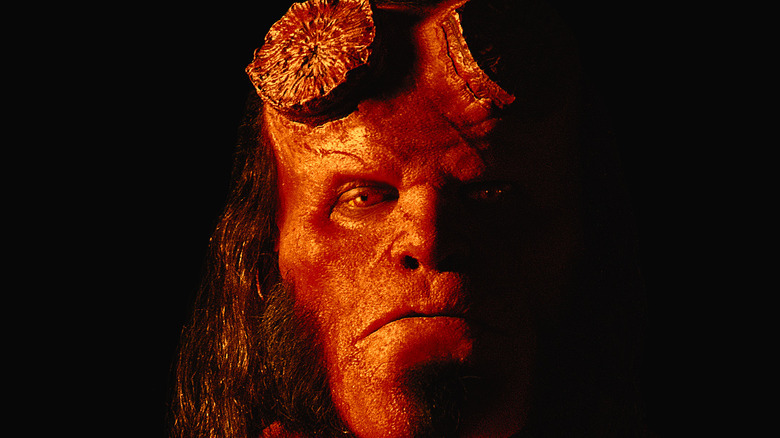 According to a scintillating write-up by TheWrap, the production of Hellboy 2019 was plagued by infighting, disagreements, and even a controversial firing. The specifics of the gossip are frequently delicious. Allegedly, a producer of the movie stepped on the director's toes with some frequency, contradicting the instructions he was trying to give the actors. Also allegedly, star David Harbour was at multiple times frustrated enough to simply walk off the set during shooting. Further, rumors suggest the script was being re-written while the movie was in production, which might help to explain the story's overall disjointed feel. Taken altogether, it's easy to see how an atmosphere like this could lead to the creation of a subpar movie. But whatever the reasons behind it, we're sure there are plenty of people who bought tickets for this one and might just want their money back anyway. Not every movie fan who didn't come out for the new Hellboy was turned off out of allegiance to Ron Perlman and Guillermo del Toro. Some were surely just less than enthused about running through the origin story for a comic book character again. Instead of figuring out a way to pick up where they left off, the producers of the new Hellboy seemed to proceed as though those first two movies never happened. Further, rather than bringing an interesting new approach to the reboot a la Batman Begins — a complete 180 from the high camp of the previous live-action Batman movie, Batman and Robin — the new Hellboy instead seemed determined to repeat the mistakes of The Amazing Spider-Man series. That short-lived franchise failed in part by bringing back Peter Parker too soon, with movies that looked too similar to the Sam Raimi films that came before them, but missing the essential spark that made them soar. To many moviegoers, Hellboy likely came off like a Xeroxed copy of a story that they'd seen before. It just didn't look all that inviting, even if it did, in practice, manage to get the origin story stuff out of the way relatively quickly. Ongoing comic book series tend to exist for years or even decades before ever getting a shot on the big screen, often spooling out whole encyclopedias' worth of confusing, sometimes contradictory lore in the process. As a result, it's extremely easy for adaptations to fall into the trap of becoming over-complicated messes with too much story, too many characters, or simply too much weird crap going on for a general audience to get on board with. According to many reviews, Hellboy's biggest problem is how overcomplicated and confusing its plot developments can be, with important characters remaining strangely two-dimensional while the movie wastes time with what a San Francisco Chronicle review refers to as "forced cameos." Parts of the movie that may delight readers of the comic books with "oh, I recognize that" satisfaction will come off to casual fans as weird, momentum-killing digressions, making reference to things you don't understand for payoffs you're not going to get. Even people who know the comics aren't going to be able to get around the movie's breathless pace and stunning density. In trying to include so much, the movie succeeds in conveying very little effectively. And it's a superhero movie! All it needed to be was "good guys vs. bad guys." How the heck do you go about screwing that up? There's nothing wrong with an R-rated movie — even when it comes to superhero movies. Sometimes, like with X-Men franchise high point Logan, taking the bumpers down and just letting the hero drop F-bombs and massacre people can make for a damn near-masterpiece, winning over audiences and critics both. But striking the right tone is a careful walk down the tightrope; mess things up, and the movie just comes off as juvenile. For some audience members, at least, that seems to be the case with Hellboy. More than one review for the film has noted that it just brings too much to the table with the blood and gore and foul language, deploying vulgarity without wit or charm and generally just turning some viewers off. It maybe doesn't help matters that the original movies used a lighter touch, earning PG-13 ratings compared to the new movie's hard R. Vulgarity and gratuitous violence are never necessarily bad, and some people may be into it in Hellboy — but most people, it seems, really aren't picking up the extra-crude 'tude that the new movie's putting on. On that count, the numbers pretty much speak for themselves. Before we wrap up, let's take a second to talk about that unfortunate Cinemascore. While a C may come off as average, it's actually quite lousy for a movie like this. A movie's Cinemascore essentially reflects its results in a theatrical exit poll, with regular people leaving opening night screenings basically being asked if they liked what they saw, and got what they paid for. The movies that often get low scores are horror movies, which tend to be unconventional and divisive by nature in the pursuit of a good scare. 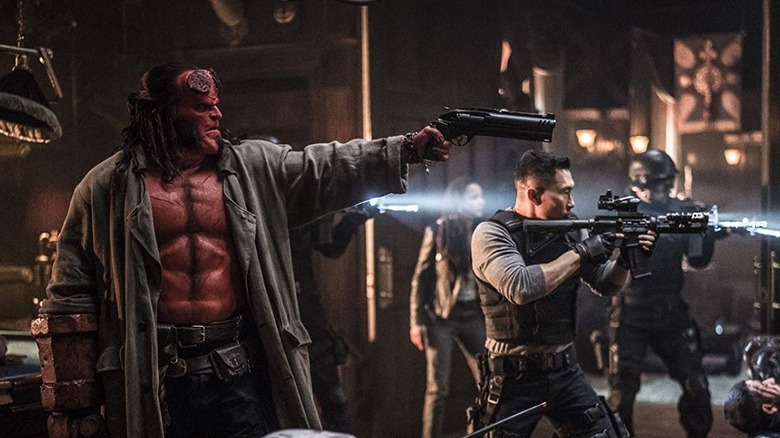 While Hellboy certainly has its horror elements — it's headed up by the director of The Descent, after all — it's more aspiring to be the same kind of beast as Deadpool, playing as a crowd-pleasing, four-quadrant blockbuster with some blood and guts and naughty words. That's what the movie sold itself as, but a C Cinemascore suggests that people did not get what they wanted from this movie. It also suggests that they won't be running to tell their friends to go and see it either, meaning any hopes of the movie picking up speed in the weeks to come are pretty much dashed — especially when the Avengers round the corner in less than two weeks to finish the rest of the current box office crop off for good. At that point, it's curtains for ol' Hellboy. In hindsight, they probably should've just let Guillermo finish his trilogy. It couldn't have turned out much worse than this.